Easily care for your lawn and garden with this Pulsating Stake Water Sprinkler featuring a durable plastic sprinkler with metal springs and a pulsating head that sprays a gentle rain of water. Angle and distance of the spray can be adjusted to fit most watering needs. 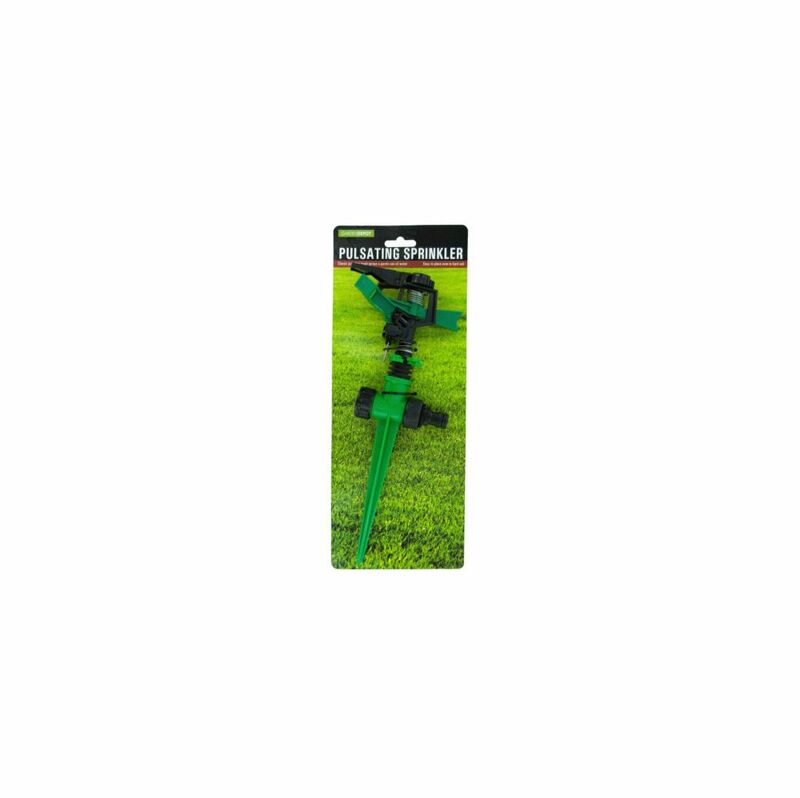 Sprinkler has a strong stake base that is easy to place even in hard soil. Measures approximately 12 long. Comes packaged to a tie card. 72 Pack of garden tool 15"